Each year, AWLA is dedicated to recognizing exceptional educators and leaders who exhibit an unwavering commitment to the advocacy, teaching, and learning of world languages. This year award winners will be recognized at the annual conference luncheon. Please join us to celebrate your colleagues! Descriptions and criteria for each award may be found online at Awards and Recognitions. 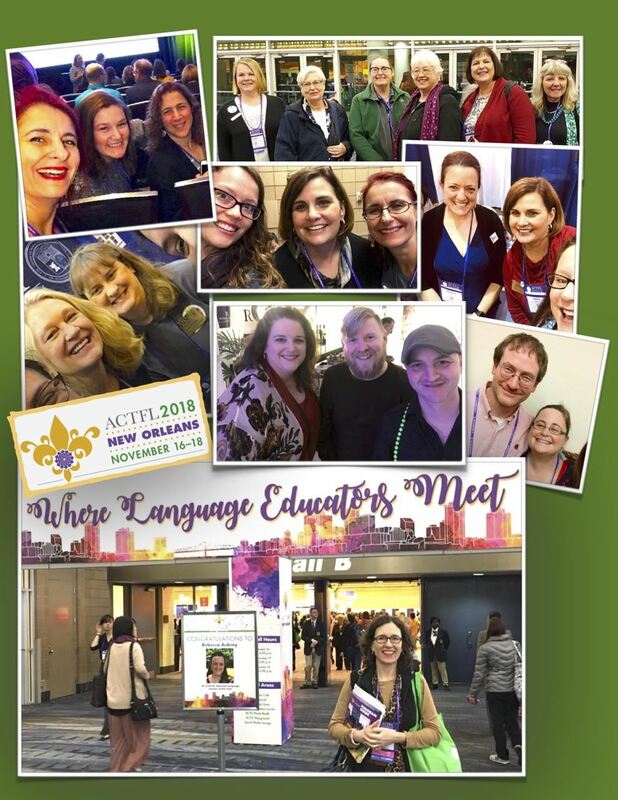 Did you go to ACTFL 2018? Take some great photos? Share them in the Forums or on the socials! 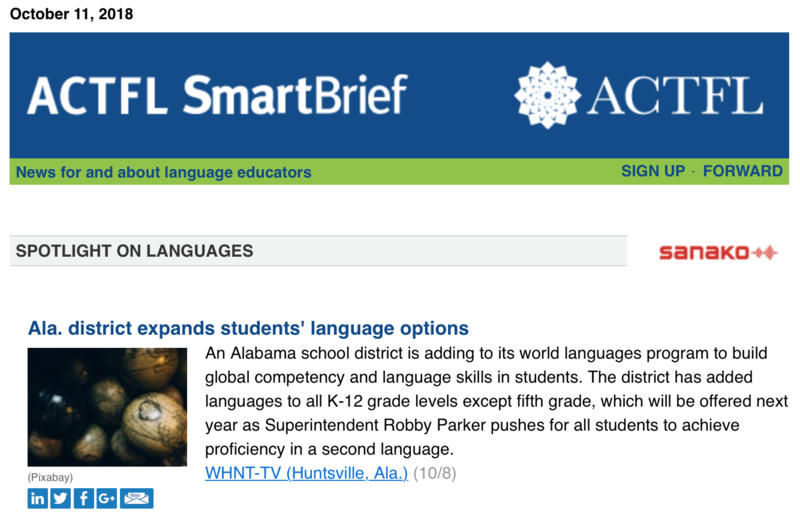 Featured first in the ACTFL Smart Brief today was our own Madison City Schools and the amazing growth they are achieving. Kudos to AWLA Member Kitty Mingus for your important roll in the effort to achieve second language proficiency. Read all about it here. On Saturday, September 29th the AWLA Executive Board convened at the University of Montevallo for the Fall Business Meeting and Conference 2019 site visit. 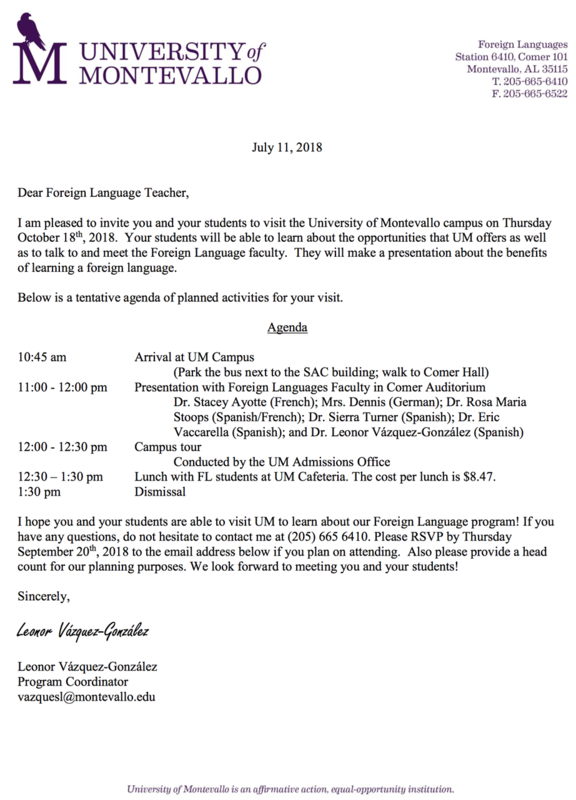 We are excited about the site as well as the support we have received from the University of Montevallo. 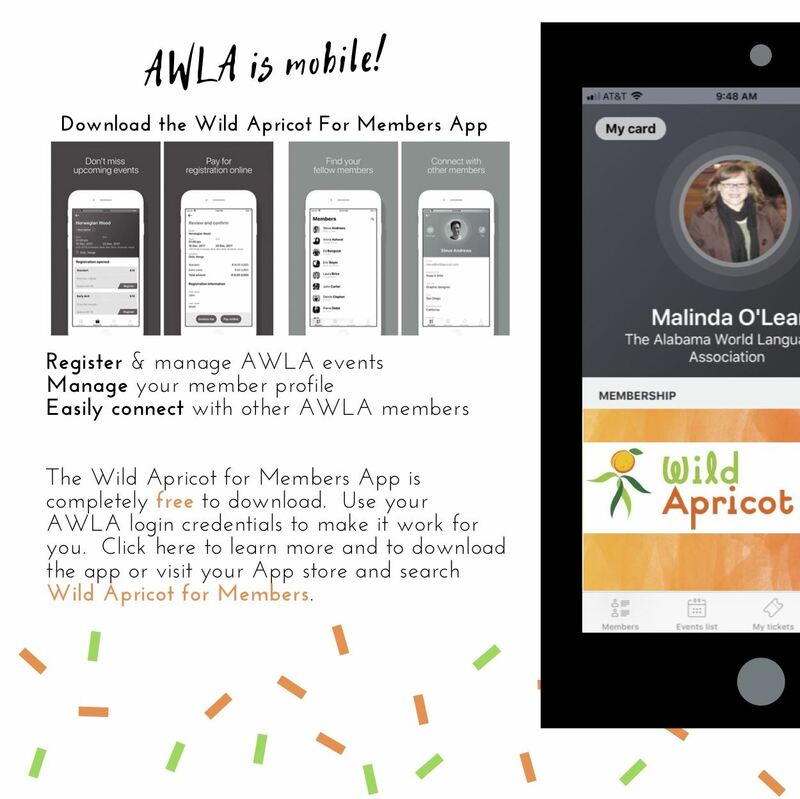 As a Board that serves to support and represents the members of AWLA, we invite you to visit the AWLA Business page to view meeting agendas, minutes and more. 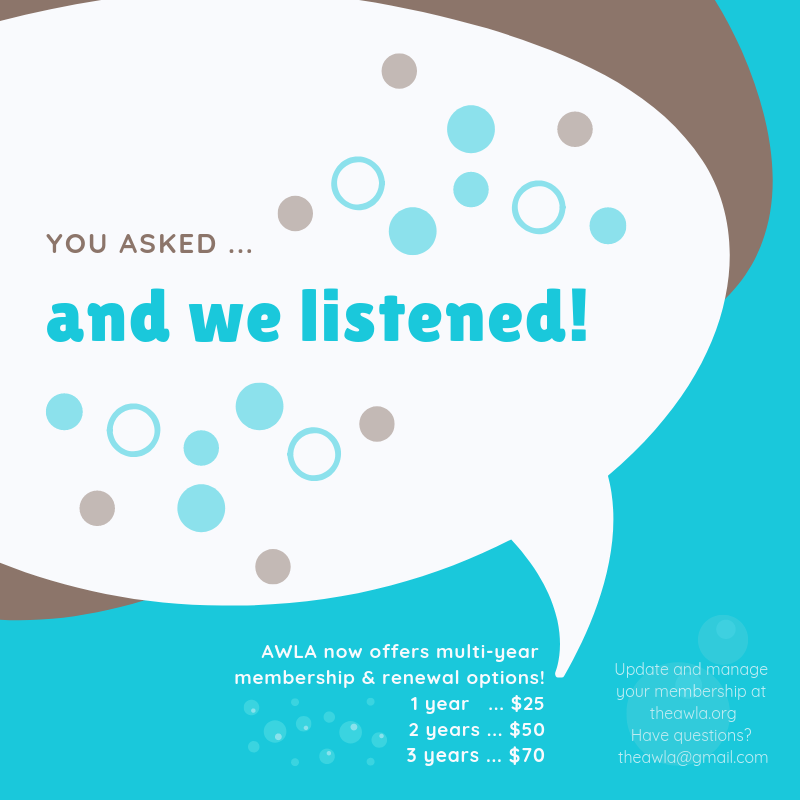 We hope to see you in Montevallo! Registration opens soon. AL High School Students: China! The 4th China Trip for High School Students will be held on April 13-22, 2019. Some high school teachers organize the trip. They are going to Beijing, Chongqing and Shanghai. Please contact Dr. Xu @irisxu@troy.edu for more detailed information. SCOLT is excited to announce the Ken Stewart Future Language Educator Scholarship! SCOLT is dedicated to building professional capacity and wants to encourage students to pursue language teaching careers. 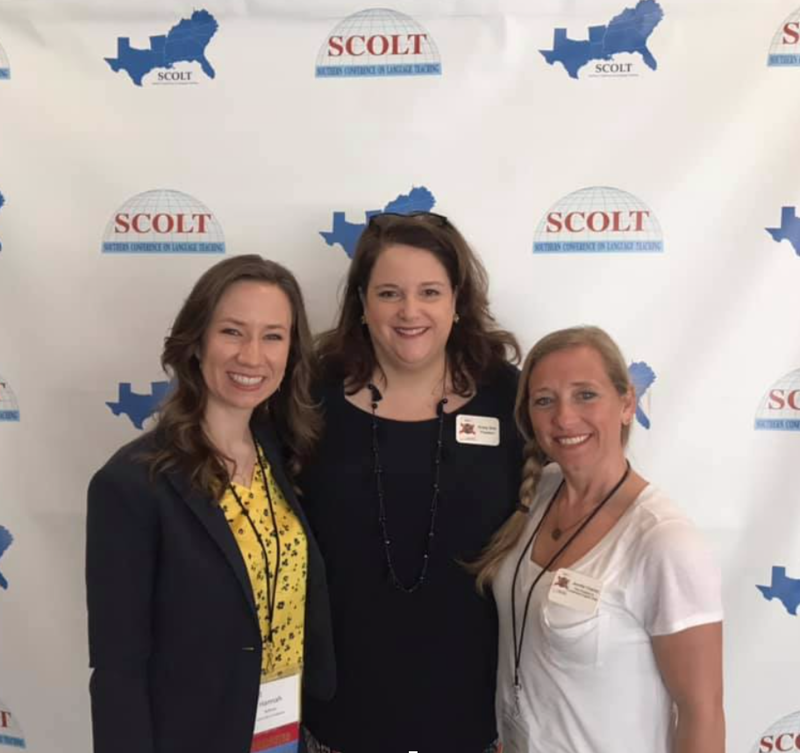 Due to a generous gift by our own Ken Stewart, SCOLT is now able to award $1000 annually to a high school senior who wants to be a World Language teacher. The first award will be made at the 2019 conference in Myrtle Beach, SC! The recipient will receive $1000 to be used for college expenses. S/he will also receive free registration to the SCOLT conference in their senior year of college as well as his/her first year of teaching! The scholarship recipient will be asked to give SCOLT progress updates throughout his/her college career. The recipient will be invited to attend the SCOLT conference to accept the award, but travel funds will not be provided. If the recipient is unable to attend the conference, we will arrange to video conference with the student during the awards ceremony.